The CDC is warning about a potentially life-threatening super fungus spreading across the nation. Candida Auris is a potentially deadly, difficult to treat infection. The most vulnerable patients are those in hospitals and nursing homes. 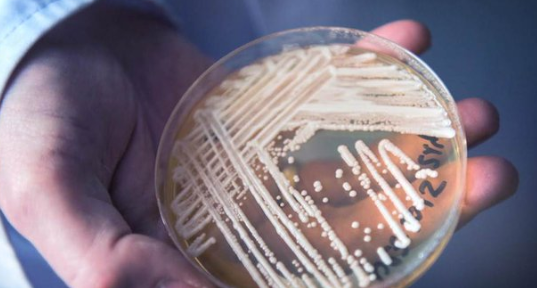 The superbug has hit countries like Venezuela, Spain, Britain, India, Pakistan and South Africa in the past five years. Now the Centers for Disease Control say the fungus has also spread to 12 states in the U.S., infecting more than 600 people across the country. The infection can appear on the skin, in a wound, in the abdominal cavity, but health experts say the most severe infection would be in the bloodstream or the brain. Doctors say the really concerning part is that the fungus can be resistant to two of three antifungals used to treat it. Candida auris (also called C. auris) is a fungus that causes serious infections. Patients with C. auris infection, their family members and other close contacts, public health officials, laboratory staff, and healthcare personnel can all help stop it from spreading. It causes serious infections. C. auris can cause bloodstream infections and even death, particularly in hospital and nursing home patients with serious medical problems. More than 1 in 3 patients with invasive C. auris infection (for example, an infection that affects the blood, heart, or brain) die. It’s often resistant to medicines. Antifungal medicines commonly used to treat Candida infections often don’t work for Candida auris. Some C. auris infections have been resistant to all three types of antifungal medicines. It’s becoming more common. Although C. auris was just discovered in 2009, it has spread quickly and caused infections in more than a dozen countries. It’s difficult to identify. C. auris can be misidentified as other types of fungi unless specialized laboratory technology is used. This misidentification might lead to a patient getting the wrong treatment. It can spread in hospitals and nursing homes. C. auris has caused outbreaks in healthcare facilities and can spread through contact with affected patients and contaminated surfaces or equipment. Good hand hygiene and cleaning in healthcare facilities is important because C. auris can live on surfaces for several weeks. According to the CDC, the simplest way to protect yourself and help stop the spread of this disease is with good hand washing, especially if you are coming into contact with a person known to have the infection.